White Horse Carriage Co. - White Horse Carriage Co.
A scenic three hour drive from both Los Angeles & San Francisco assures one of the most romantic day trips available. Come spend the afternoon clip clopping under the billowing oaks in Paso Robles on our romantic wine tasting tours. 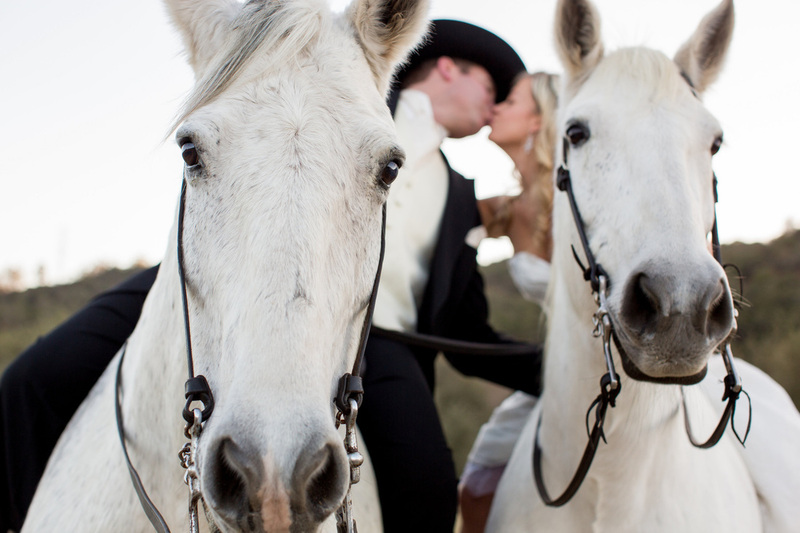 Arrive for your wedding and capture the attention of your guests with the thunder of hooves and the elegance that only a horse drawn coach can create. Our stables are stocked with regal white Spanish Norman mares. Coined the "war horse of the ages" the Spanish Norman is a blend of the Andalusian from Spain and the Percheron from France creating an intelligent, elegant and powerful athlete. Each of our horses have been meticulously chosen for their calm and earnest temperament and have been professionally trained to pull a carriage safely in all situations. Our horses love the challenge of pulling and take pride in doing their job well. You can tell they are enjoying their work when their ears are perked forward and there is a zealous spring in their step. While carrots & peppermints are their favorite treats, kisses on their velvet noses are always appreciated. John Machamer is a showcased Arroyo Grande, CA farrier on NewHorse.com!